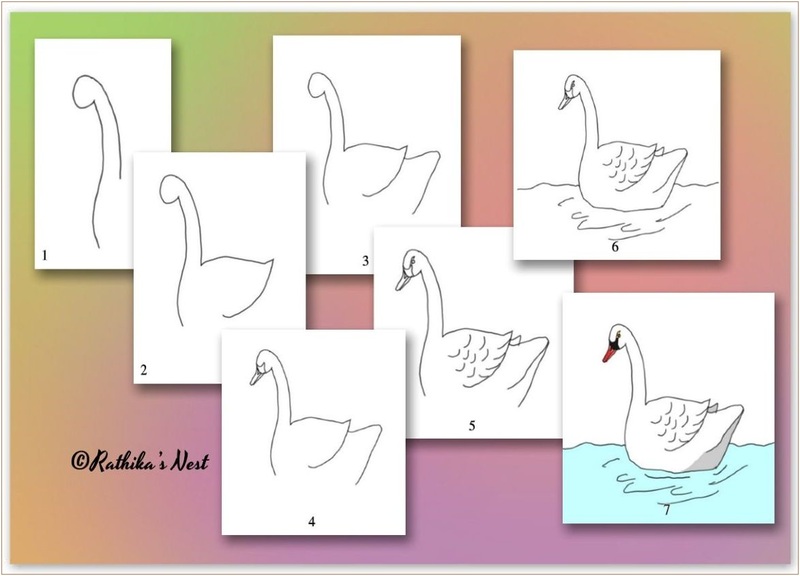 Rathika's Nest: How to draw a swan? How to draw a swan? You have heard of 'swan'. Aren't you? A swan is a large bird that lives in the water and on land. Swans often have pure white feathers; though they may have a mixture of black and white feathers as well. They are beautiful birds and we shall draw a swan today! Please follow the steps to sketch the bird. You may use color pencil or crayon to color the water and the swan's beak. Shall we start?